Canadian-Korean countertenor David DQ Lee is fast establishing an enviable reputation among countertenors of his generation. He has won prizes at many international music competitions including the Francisco Viñas Competition in Spain, George London Competition in New York City, Musica Sacra International Competition in Italy, Queen Elisabeth Competition in Belgium and Metropolitan Opera National Council Auditions. 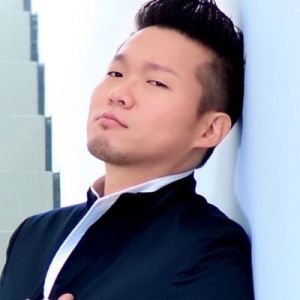 With repertoire ranging from Baroque to contemporary and jazz to New Age, David DQ Lee has performed at La Scala in Milan, Komische Oper Berlin, Theater an der Wien, Teatro Real in Madrid, Liceu Opera in Barcelona, Chicago Opera, Semperoper in Dresden, Zurich Opera House and more. He has appeared at the Ravinia and Aspen music festivals, as well as the Beaune Baroque Opera Festival in France, to name just a few. Having made his NAC debut in 2015 with the world premiere of Ana Sokolović’s Golden slumbers kiss your eyes…, David DQ Lee continues to sing this work with the NAC Orchestra. He can be heard performing it with the Orchestra on their New Worlds recording released by Analekta in 2018.